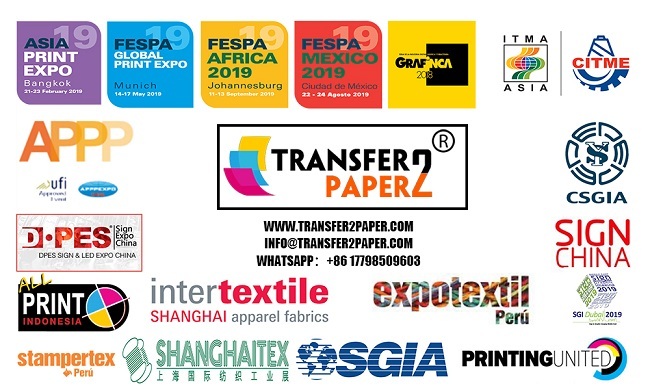 Transfer2Paper will be in Fespa 2019 on 14-17th May. We will bring high quality heat transfer vinyl, t-shirt transfer paper, printable heat transfer vinyl and heat transfer solutions for you. How about Transfer2Paper in the APPP Expo last week in Shanghai? Transfer2Paper finished the APPP Expo last week. In this exhibition, we launched our all kind of heat transfer vinyl product line to clients. 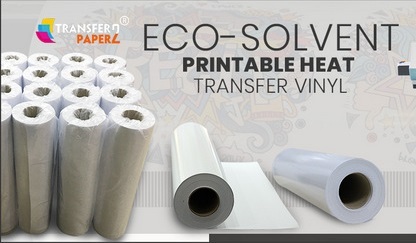 Transfer2Paper is the heat transfer vinyl HTV heat transfer paper manufacturer. Will be in DPES Guangzhou which held in 20th-23th Feb.2019. The booth is H88-13. 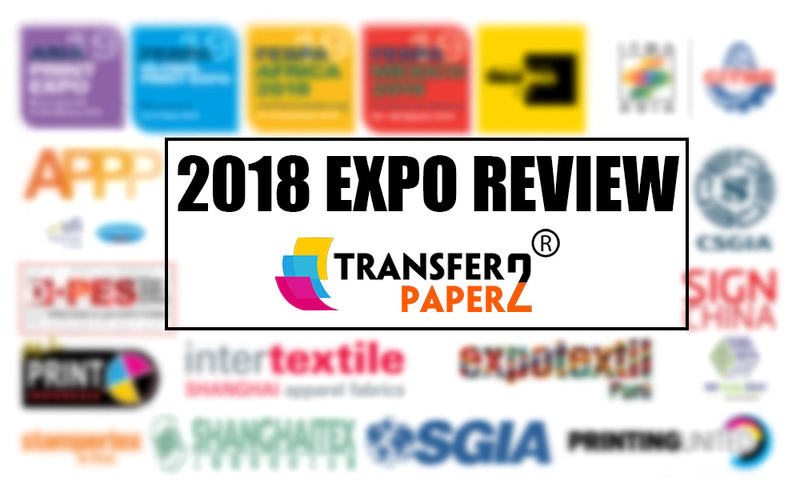 In 2018, Transfer2Paper attend many exhibitions. SIGA, FESPA, Gratex, Itma Asia. We promote heat transfer vinyl factory. 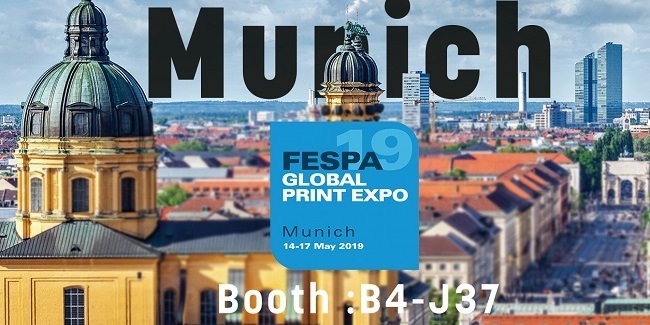 And we invite you visit our booth in 2019. Available 100+ colors glitter heat transfer vinyl in ITMA Asia and SGIA Las Vegas. 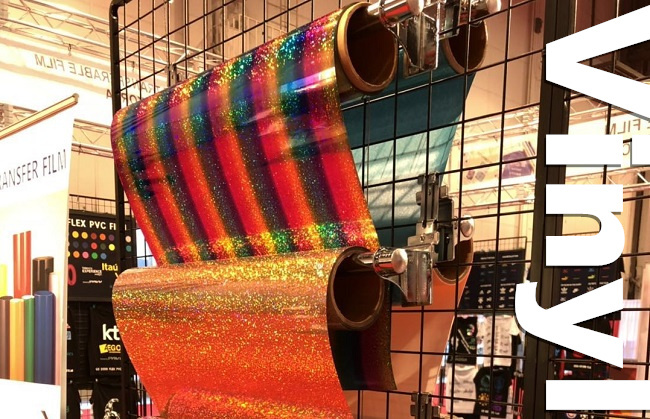 Transfer2Paper is heat transfer vinyl factory, we offer glitter heat transfer vinyl, flock heat transfer vinyl, reflective heat transfer vinyl, PU heat transfer vinyl, PVC heat transfer vinyl, hologram heat transfer vinyl. We are looking for dealers. Transfer2Paper Printable heat transfer vinyl is high quality, suit for Ro land BN20, Mimaki CJV cutter plotter. It’s easyprint, and easy cut, and have high flexiable and bright color on the garment.